Renaissance Heroes is a fast-paced free-to-play online FPS set in the 16th Century, a time brimming with invention and, apparently, lots of shooting. Featuring one of the most original settings ever seen in an MMOFPS, this game offers inventive arenas in cities such as Florence and Milan, as well as ingenious character and weapon design. Powered by the Unreal 3 engine, Renaissance Heroes brings familiar game modes such as Deathmatch and Capture the Flag but adds other unique game modes. 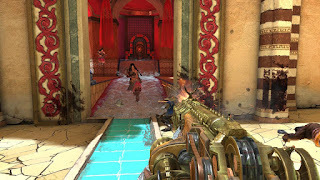 Gameplay is fast and exciting thanks to features such as jump pads, items and melee combat.